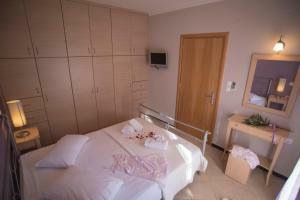 After an unpleasant reservation in Greece (not through Booking) we have searched for a clean accommodation. The studio that we received its perfect for a family with kids. The cleaning process was more that we expected : clean towels every day, clean sheets (twice in 8 days). Every evening after a day at the beach(es), the kids enjoyed the pool at maximum. I really recommend this accommodation! Nice location in the Center of Nikiana village, walking disntance to everywhere no need to move the car. The rooms were big, cleaned everyday, plenty of storage space, nice kitchen , aircondition etc. The beds were big, there were sieves on all windows as there is an issue with mosquitos in the area. Really quiet especially over night. No big complaints at all i would easially visit the accomodation again. The room the location is perfect and the pool. Room was comfortable and the staff helpful. Dora you can just smile a bit more! The entrance gate that was kept closed to stop little ones from leaving the property. Really friendly and helpful staff. Well equipped and modern rooms. Wonderful place.. Lovely people. Perfect location. The rooms were spotless everyday we had clean sheets and towels. My whole trip was fraught with difficulties, so to arrive at this beautiful, spotlessly clean, well thought out accommodation was a real tonic! The apartments are not only aesthetically pleasing, they are also practical, well equipped and very comfortable. Great, clean pool, excellent location, fresh and modern. 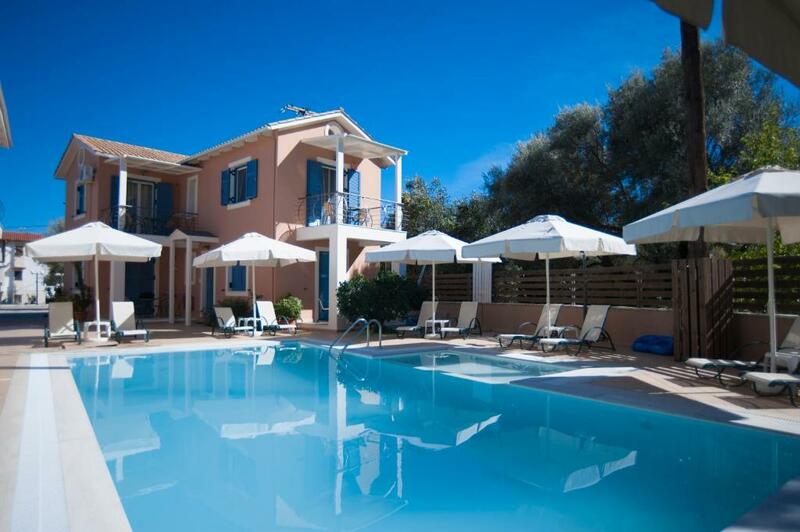 Lock in a great price for Villa Theodora – rated 8.8 by recent guests! 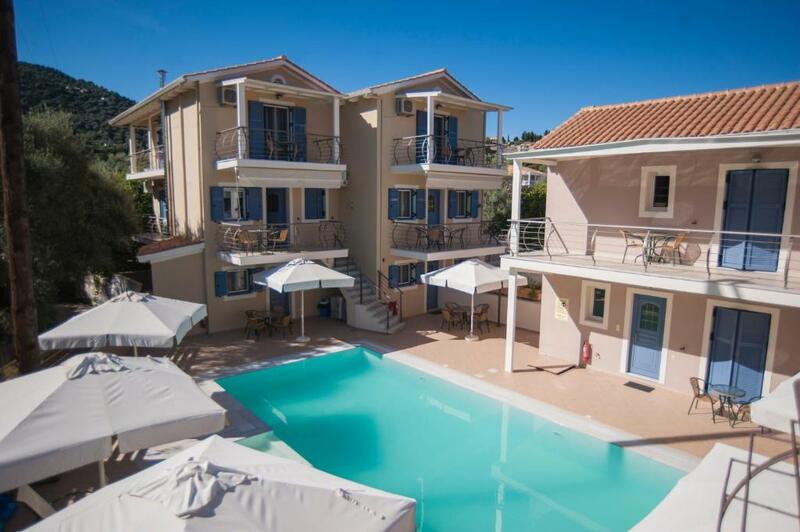 One of our top picks in Nikiana.Villa Theodora is a newly built studio and apartment complex located in Nikiana, 5.6 mi from the town of Lefkada. It features modern studios and apartments with a flat-screen TV and safe. The modern complex offers a swimming pool with a friendly atmosphere and all the facilities for a perfect accommodations. Spacious on-site parking is available. 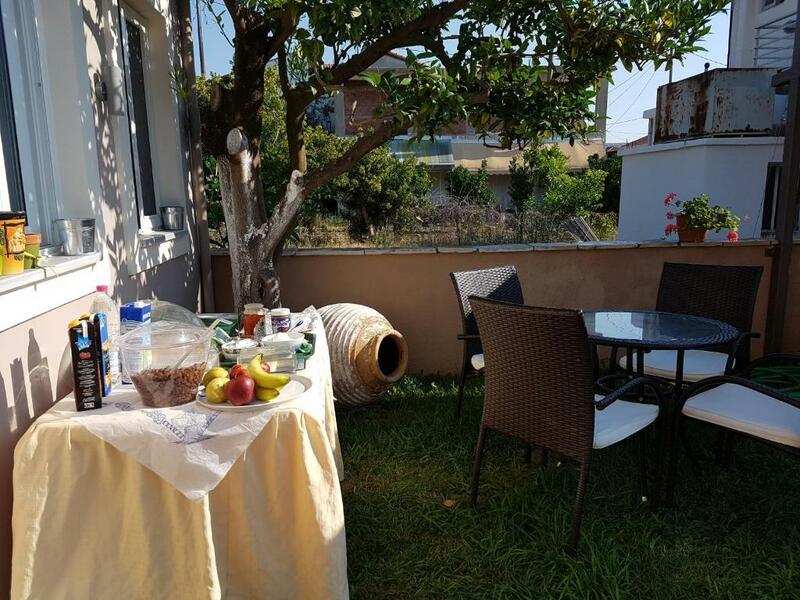 All sunlit studios and apartments are air-conditioned and have private bathroom, balcony and a fully equipped kitchen with oven and fridge. Breakfast can also be prepared upon request at extra charge. 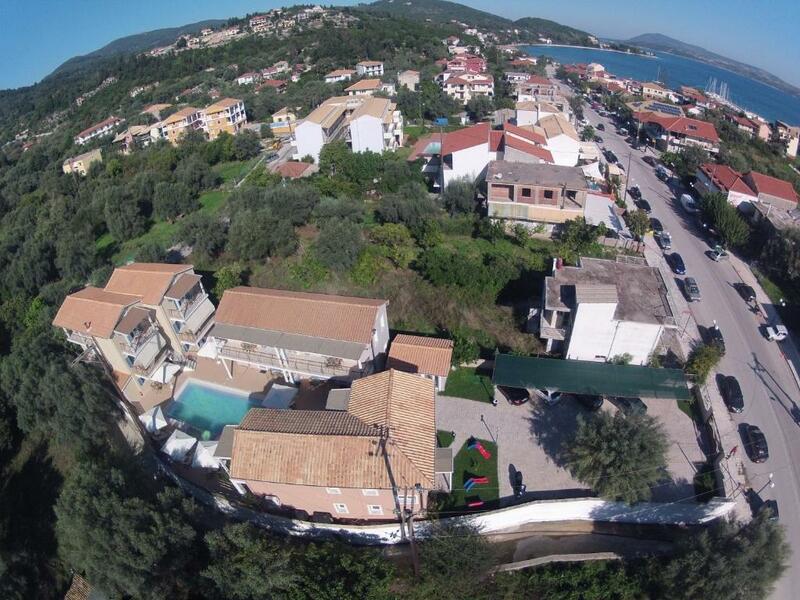 Very close to Villa Theodora guests will find taverns and restaurants, as well as bakeries and super markets. 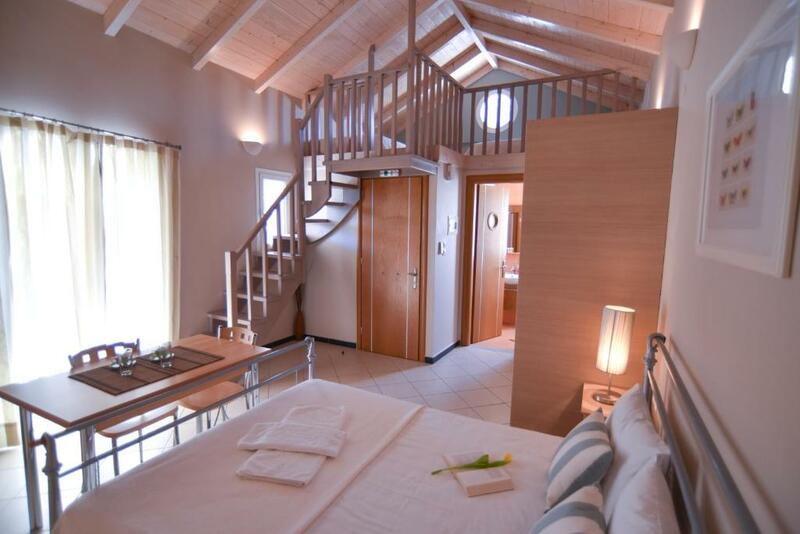 Overlooking the pool, this studio offers a fully equipped kitchen. It is located on the ground floor or 1st floor. 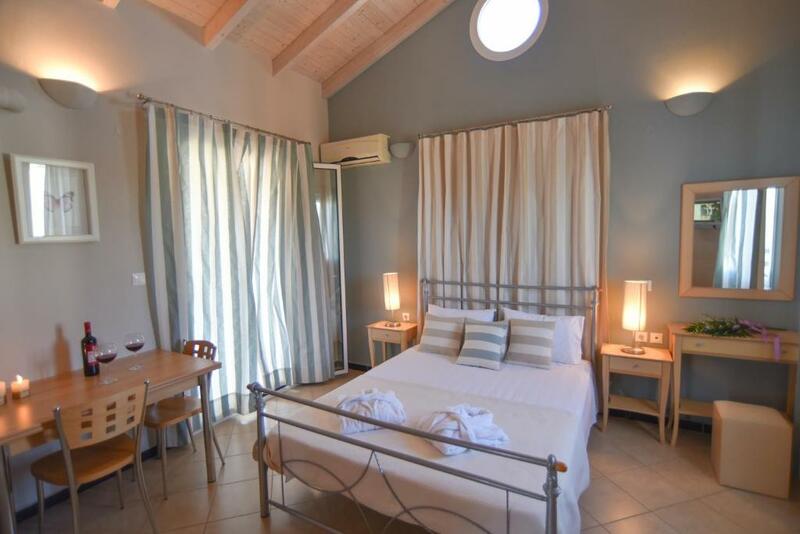 Overlooking the pool, this apartment offers a separate bedroom, seating area with sofa bed and a fully equipped kitchen. It is located on the ground floor or 1st floor. This apartment has a barbecue, toaster and oven. 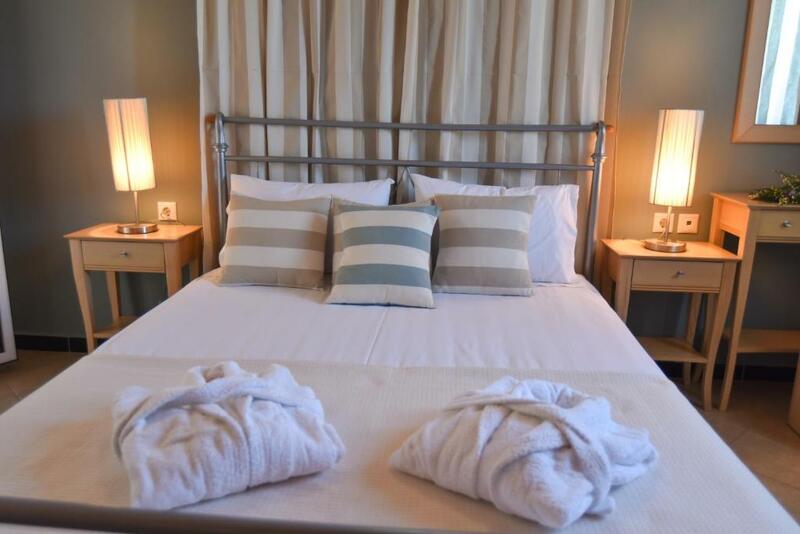 This quadruple room has a kitchenware, air conditioning and oven. The complex is consisted by three independent buildings and includes 12 studios, apartments and maisonettes with modern architecture and decoration. We offer a swimming pool where where you can relax with your loved ones with the company of a beautiful garden and a playground for our young visitors. There is also a spacious private parking for the vehicles of our customers. Please note that the reception operates until 15:00. For check-in outside reception hours, guests are kindly requested to contact the property via telephone. The breakfast is not served in the accomodation which is not clearly explained when booked. Few other minor details that could make the experience better like there was a sieve missing in one of the bathrooms so mosquitos were making a party. Also the toilette flush was broken so water was running and wasnt fixed untill the day we left although we mentioned that a lot of times. Not a big issue but it was a bit annoying. The manhole covers for the swimming pool filtration were left slightly open and raised. I tripped on one of them. Hard to find fault, but the water pressure was a bit erratic when showering.